The project is an unusual one because it pools battery capacity for homes with solar panels. It was funded by energy company Synergy and government-owned Western Power, which sought 52 customers with solar panels on their homes as participants. The 52 shares of the project were snapped up in two weeks, far more quickly than expected, which accelerated the project's timeline. Participants will each be allotted 8kWh of storage, which they will "fill" with excess power created by their rooftop solar panels during the day. (This is in theory, of course. Solar-generated electricity can flow back onto the grid, but there's no guarantee that the battery will be charged with solar-generated electrons.) In the evening, customers will "be able to draw electricity back from the PowerBank during peak time without having to outlay upfront costs for a behind-the-meter battery storage system," says a press release from the government of Western Australia. The model is similar to that of community solar projects, which have become popular in the US. Rather than spend money on expensive solar panels (or batteries, in this case), homeowners can opt into a collective project. A managing company will put up the upfront costs and collect payment in installations. 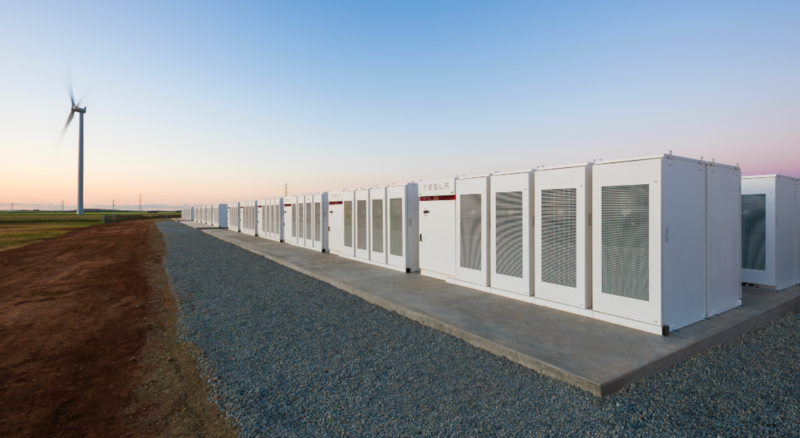 The Western Australian community battery project will cost participants AUD$1 (USD$0.73) per day for 24 months, although the participants will be able to opt out of the program at any time. Still, if a customer would normally buy electricity from Western Power in the evening after the sun goes down, participating in a program like this should save them money. Tesla is also behind a unique plan to install a virtual power plant in South Australia, where homes would be outfitted with solar panels that could respond to grid signals or isolate in a blackout.